There is a wider selection available – I’m just focusing primarily on the face. I love the smell – if you’ve ever used Clarins SPF before you’ll know the scent. Same every year. Reminds me of the SUN! I tested all three strengths on all but the very darkest skins. I don’t think this would leave any residue or tell-tale SPF trace on any skin. Contains a Clarins patented Phyto-Sunactyl 2 Multi-Cellular protection complex – which in layman’s terms is designed to strengthen and reinforce the skin and protect from collagen damage. These photos don’t show the circled UVA logo mentioned on the SPF cheat sheet – but it is on the packaging of this year’s products – which I have – meaning that at least a 1/3 of the UV protection is UVA. I love Clarins sun products. 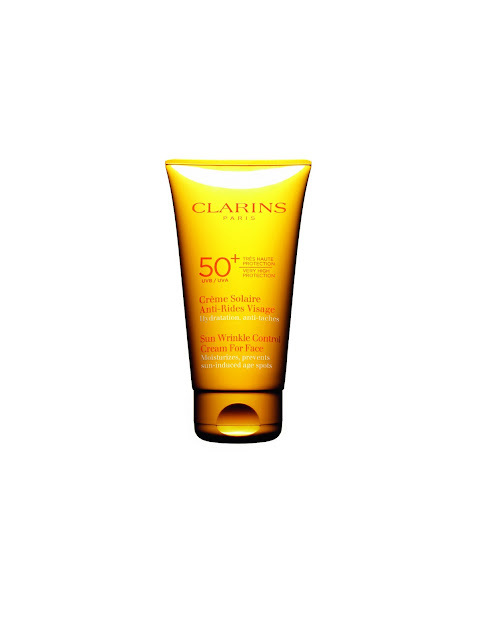 Everyone used to rave about Lancaster (good – but not the be all and end all) but for me Clarins have always done sun well. It’s hard to go wrong to be honest. Good sizes, good technology, good price. Clarins is available on Clarins.co.uk and is highly recommended.